England Golf’s GolfMark “Club of the Year 2017” award was a huge moment for The Point at Polzeath. It was a true reflection on all the hard work and investment the team have put in, coming just 5 years after it was rescued out of administration in 2012. The Club sits just above Polzeath, a mile from Rock, St Enodoc and Padstow is just across the estuary. 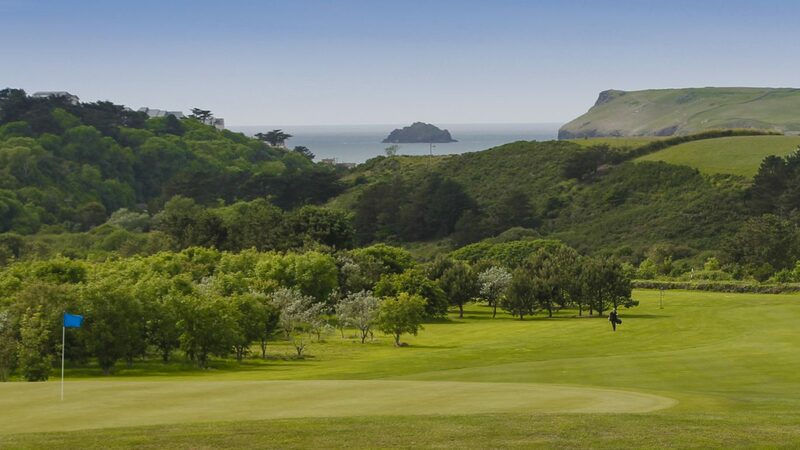 The original design takes advantage of the stunning views of Pentire Point and Newlands Island, the new owners however have worked extensively with Tim Lobb to dramatically improve the definition and design of the course. The bunkers are now in the right places, the greens are absolutely stunning and are getting better all the time, there have been a lot of changes with more to come. The course is a real challenge for golfers of all standards and plays just short of 6,300 yards off the back tees, tribute to all this work is the fact that The Point hosted the South West Order of Merit Finale for the Top 30 Pros in the South West region. Both the 9th and 18th greens sit in front of the clubhouse in full view of the bar and restaurant making this an ideal destination for larger groups and societies. With views down the fairways to the sea breaking on Newland Island beyond, the balcony is the great place to view the incoming players. With an award winning restaurant, luxury accommodation and a health club also on site, there is no need for the golfer or their partners to go anywhere else. 18, 27 and 36 hole packages available with breakfast, lunch and dining options. Winter season November to mid March: Packages start from £20pp Summer season mid March to end October: Packages start from £32pp We are always happy to discuss tailored requirements to suit individual parties. Take the B3314 from Wadebridge and follow this road for 4 miles. Brown signs showing The Point At Polzeath will become visible. Stay on the B3314 until you see the turning for Polzeath. Follow this road until you reach Carraun Farm Shop and turn left here. The entrance is approximately 200 metres on the right. Self catering luxury 2 & 3 bedroom apartments with sea views. Flexible room configuration and out side lockable heated storage for golf clubs. 18-hole course, 4 bay covered driving range, putting green and chipping area. Restaurant, Bar, outside terraces, health club, tennis courts, pro shop, car park.